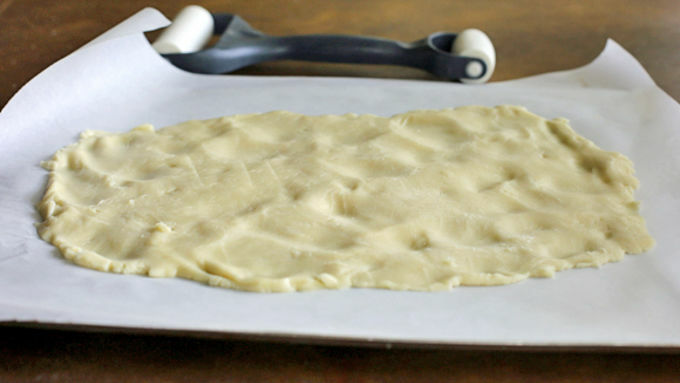 Roll out cookie dough onto a parchment lined baking sheet into a rectangle about 1/4 inch thick. Use a little flour on the rolling pin if it becomes sticky. Bake according to package directions and remove from the oven when the edges turn golden brown. Cool. Melt half of candy coating according to the package directions and lather it on half of the cookie. Doing it in batches ensures that the coating doesn't dry out while decorating. 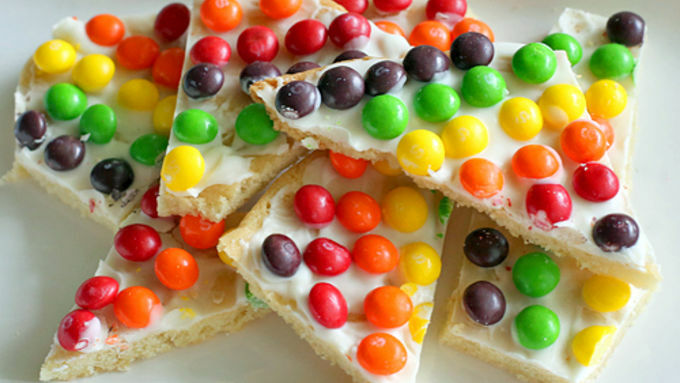 Decorate the cookie bark with assorted rainbow candies. Repeat with other half. Let coating harden or speed it up by putting it in the fridge. Cut or break the bark into pieces and serve. At Tablespoon we love rainbows, as you well know. And now, we've taken the rainbow to a whole new level that will have the kids screaming in joy and the adults watering at the mouth. This Rainbow Sugar Cookie Bark, inspired by the blog, momontimeout, looked like so much fun that I just had to do this with my kids. 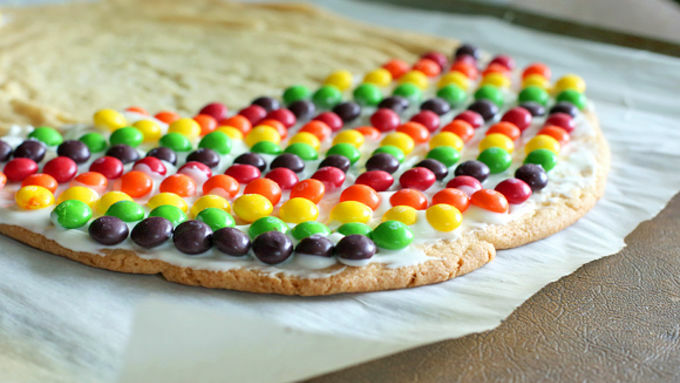 This is a giant sugar cookie lathered with vanilla coating and then sprinkled with whatever rainbow colored candy suits your fancy. 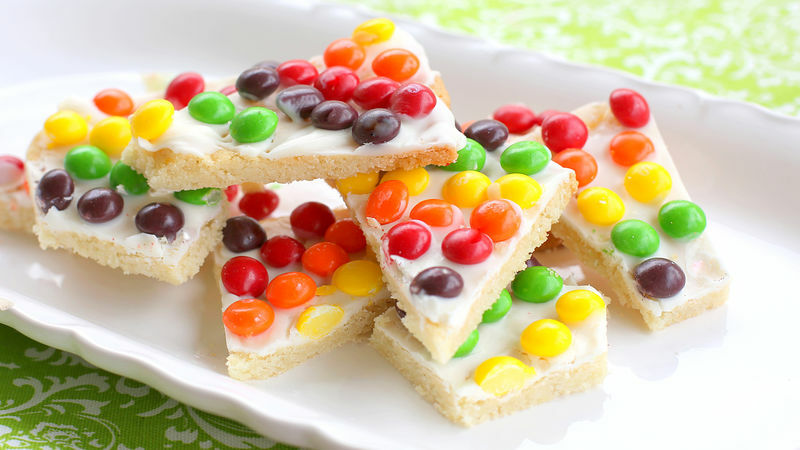 Once you've baked and cooled the cookie, spread half of the vanilla coating on top and decorate with your colorful candies. You want to do it in batches so that the coating doesn't cool too quickly. Decorate in whatever pattern you like. There are no rules here! Let the bark set and then cut or break the bark into pieces. The rustic look is totally okay here. My boys couldn't wait to take a bite. I had to shoo their hands away so I could get a picture. Enjoy!